Our Bible School has been nestled at the foot of Table Mountain for more than 60 years. We are one of over 140 similar Bible Schools around the world. It was in 1926 that H.M.S. Richards, an evangelist from California, U.S.A. had the idea to broadcast his lectures over the radio. Pastor Richards had a particular interest in Biblical Prophecies so he called his radio broadcast “The Voice of Prophecy.” People were so interested that they wrote in by the thousands to ask for copies of the lectures. He then wrote them into a series of lessons with the Bible as a textbook and added quiz sheets for the “students” to fill in. His first office, where he was helped by a part-time secretary, was a hencoop in the back yard of a house. A certificate was given when the course was completed. Soon the Voice of Prophecy became a strong evangelistic organization. In 1943, E.L. Cardey, pictured right, at that time a pastor-evangelist in Cape Town, inspired by Richards’ success, began a similar venture in the “mother-city” of South Africa. 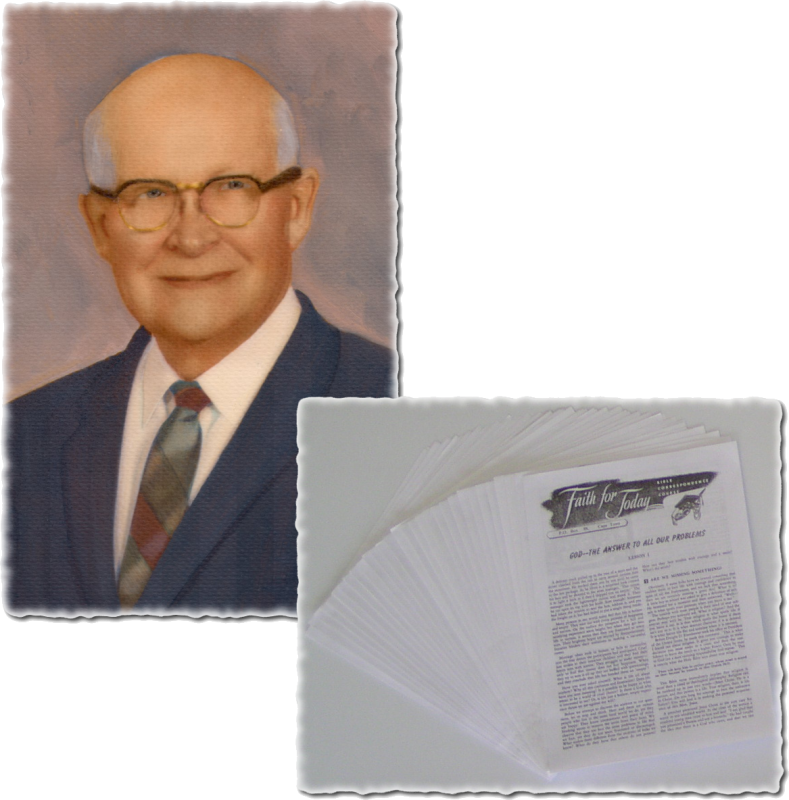 Because the radio was not available to him, Pastor Cardey placed advertisements in the newspaper offering a series of 24 lessons to any who applied for them. To their surprise they received thirty thousand applications in the first year! Today, over 60 years later, we have many, many active students. We receive letters from our students saying how much the lessons have meant to them, and many prayer requests come in every day. It is always inspiring to pray for others.